St John the Baptist’s Church is the Grade I-listed parish church of Westbourne in the far southwest of West Sussex. The Hampshire border is mere yards away. 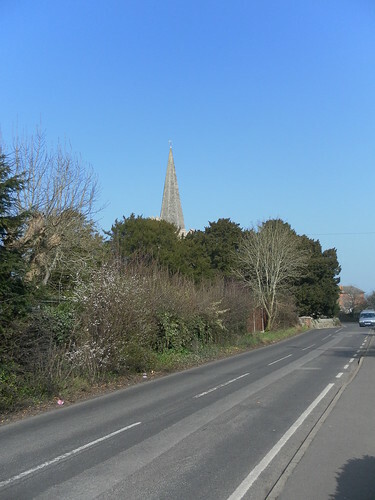 It is distinguished by a tall spire which can be seen from quite a long way away. This view looks from the southwest on Westbourne Road. Taken on 15th March 2012. This is the Holy Trinity Church in Stratford-upon-Avon. 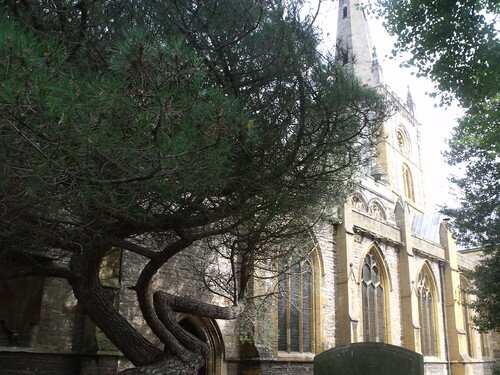 It is the site where William Shakespeare and close members of his family are burried inside. It is in Old Town near a bank of the River Avon. 2010 is the 800th anniversary of the present building which dates to 1210. Information from a leaflet I was given after paying £1.50 to go to the section to view Shakespeare’s Grave. There has been a church on this site since at least 713 when a Saxon monastery was built here. The present building dates from 1210, with the oldest sections being the tower, transepts and nave pillars. The North and South aisles were added in the 1300s and the Chancel in the late 1400s. 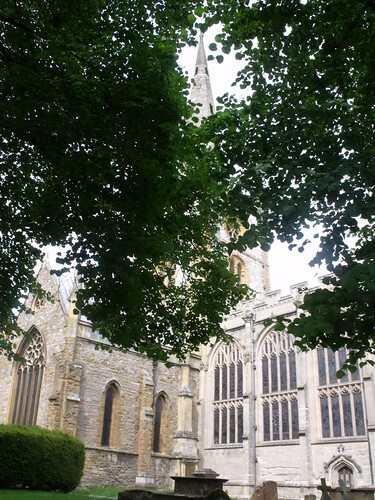 The Church of the Holy Trinity is a Grade I listed building. Butterfield, 1850s; by Bodley and Garner, 1888-92 and 1898. Before I went in, I went around the grounds getting my exterior shots of the church. Trying to get shots of the spire, but trees in the way. Views of the stained glass windows on this side of the churchyard. Various graves in the churchyard. Hard to get decent shots of the spire – lots of trees in the way.